The Whole Shebang is a new South Philly creative hub that offers classes, workshops and studio rental. Class offerings will represent a wide range of artmaking, from movement practices to herbalism to interdisciplinary arts. Shebang is co-founded by dance artist Meg Foley and visual artist Carmichael Jones and is home to Foley’s dance think tank moving parts and to private artist studios. A goal of The Whole Shebang is to employ teachers who are also artists to help keep the vibrant artistic community of Philadelphia fertile. Classes currently offered include an African Movement Diaspora Series, Barre Fitness, Anti-Absolutist Yoga, Developmental Movement and much much more. We will also be hosting a range of international dance artists to teach/create in our space. Their works will be presented in a series of three performances during the spring, so keep your eyes peeled for more details about that! Go to thewholeshebangphilly.com, to register for classes, workshops, buy tickets to a performance, or for more information. Posted in out on the town. Red Gravy Fundraiser Covered by Philly.com! What a successful event! Thanks to all who attended, contributed gravy and supplies and helped in any way. It’s true that you didn’t have to come from South Philadelphia or be an ethnic Italian to win Sunday’s first-ever Red Gravy Cook-off, sponsored by the East Passyunk Crossing Civic Association. But there’s no doubt those qualities helped give contestants an edge. South Philadelphia Italians were making and enjoying red gravy well before anyone came up with the name “East Passyunk Crossing” for the neighborhood around 10th and Morris. So, even if they do occasionally spike their gravies with a secret ingredient or two, they hold firm to the belief that “red gravy has to taste a certain way,” explained Mark Squilla, the local councilman and South Philadelphia native who served as one of the competition judges. 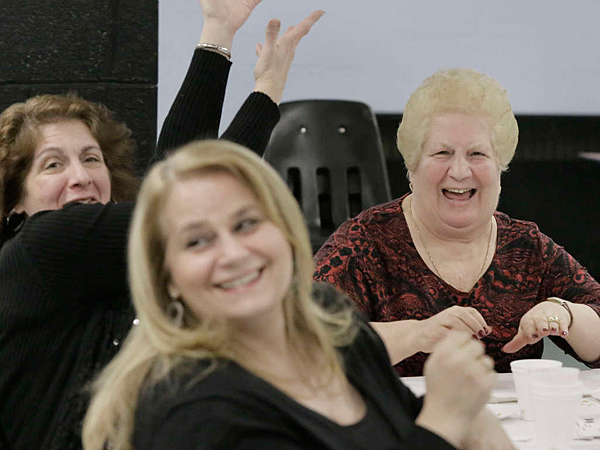 The cook-off, attended by more than 80 people, brought a wide cross-section of East Passyunk residents to the cafeteria at Neumann Goretti High School to sample seven variations of the traditional gravy. There were newcomers sporting Buffalo plaid and significant facial hair, but also plenty folks who have eaten red gravy every Sunday of their lives. And all had strong opinions. Posted in Area Info & Events, marketing & events, out on the town. Join the South Philadelphia Neighborhood Library in previewing the architect’s and artist’s conceptual plans for the 2015 renovation of the library. Knight artist Miguel Horn and architect Jim Keller will be present at the meeting. Posted in eventcalendar, out on the town. 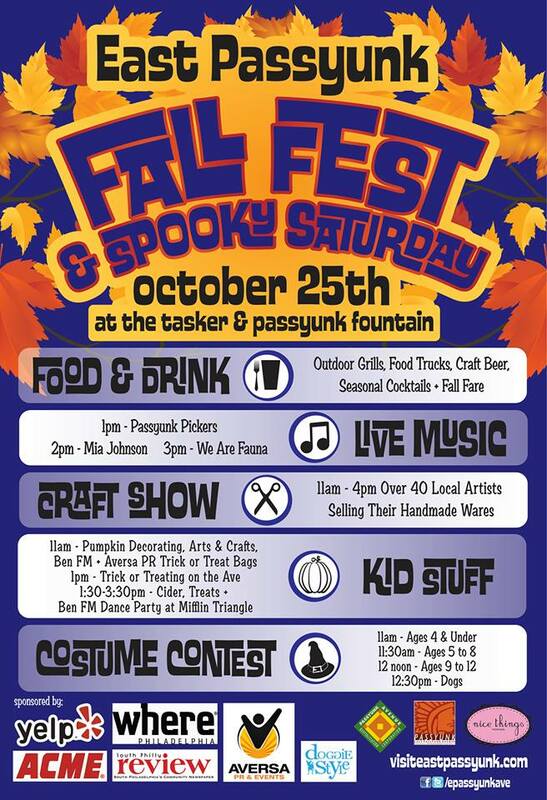 Celebrate fall with live music, dozens of crafters brought to us by Nice Things Handmade, street eats and drinks + activities for kids! Shop from antique and vintage furniture, housewares, clothing, jewelry, knick knacks, memorabilia and more. This year there will also be hosting a sidewalk sale between Morris and Mifflin filled with Avenue retailers offering special sales. Posted in Area Info & Events, eventcalendar, out on the town, Uncategorized. After-party at Industry Bar, 1401 E. Moyamensing Ave at Reed Street, where your Garden Tour wristband secures you $3 beers and free food samples. All proceeds support our efforts to open a member-owned grocery store in South Philly. Easter Egg Hunt on the Avenue! 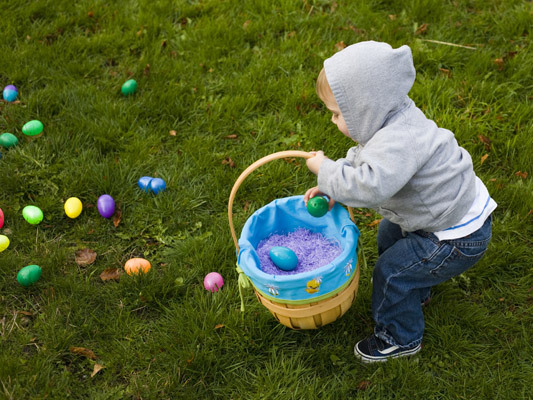 Bring your children to our FREE Easter Egg Hunt in the South Philadelphia Older Adult Center’s (SPOAC) Outdoor Garden. Kids will decorate egg-collecting bags with Occasionette, enjoy treats from Beneficial Bank and then hunt for eggs filled with candy and Zitner’s Fine Confections. Special golden ticket eggs will feature certificates for Cloth, Favors and Flavors, Ms Goody Cupcake, Nicole Rae Styer, Occasionette, Rita’s Water Ice, and prize-size Zitner’s eggs. Egg Hunt times are staggered by age group, we suggest you arrive 15 minutest before your child’s age group. Posted in events, out on the town.